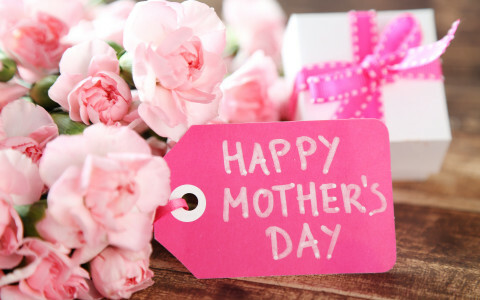 Treat Mom to the best this Mother’s Day! 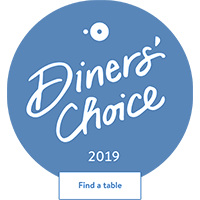 We will be offering a decadent spread of brunch favorites, including smoked salmon, ricotta-stuffed croissant French toast, roasted leg of lamb roulade, and mimosas that will keep you toasting to mom all day long. 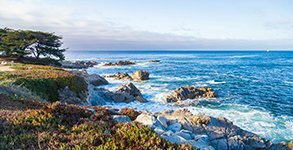 Rugged natural beauty, azure blue waters and the crashing surf of Monterey Bay has drawn travelers to its storied shores for centuries. 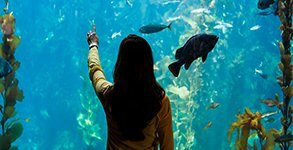 Experience the iconic attractions of Cannery Row, Old Fisherman's Wharf and the Monterey Bay Aquarium, all right at our doorstep. 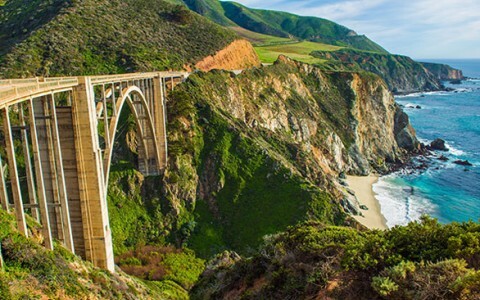 Walk to one of the the top ranked aquariums and protected marine sanctuaries in the US. 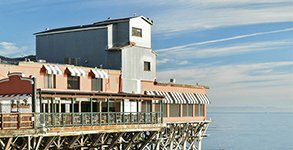 Along historic Cannery Row - a vibrant boulevard of chic boutiques, upscale galleries, and over 25 restaurants and wine tasting rooms. 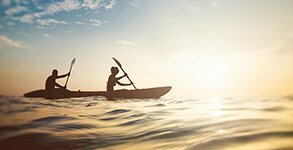 Offering kayak, paddle boards and bike rentals and tours right on the beachfront, get your Monterey adventure off to a great start. Cruise along this scenic waterfront trail stretching 18 miles from Castroville to Pacific Grove. 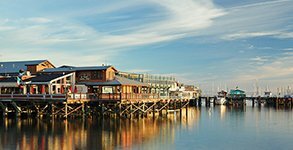 Watch sea lions and otters languish from one of the restaurants at this bustling marina. 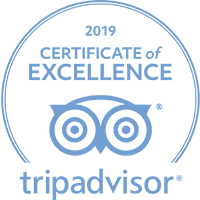 Guests who stay with us clearly love the experience and share it with everyone; we’re the top rated hotel in Monterey on TripAdvisor. 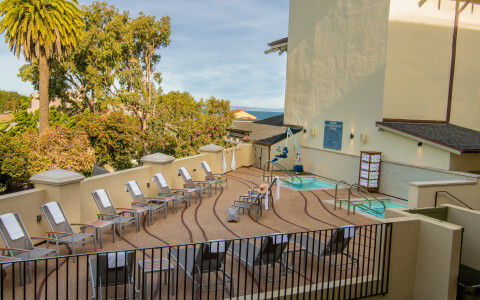 Our new family-friendly space, The Terrace, features a beautiful sundeck with lounge furniture and two oversized hot tubs for fun-filled afternoons and cool coastal evenings. Suspended above the crashing surf of Monterey Bay, we offer the best seat in the house to enjoy all the majestic beauty and drama of the Pacific Ocean. 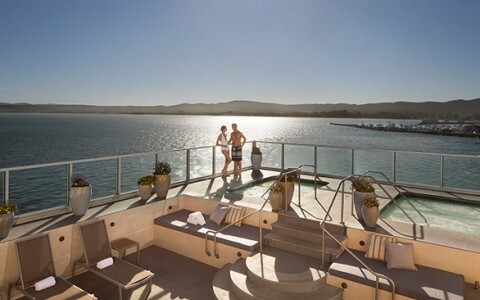 Indulge in a luxury wellness experience at our stunning rooftop spa featuring two whirlpool spas overlooking Monterey Bay. 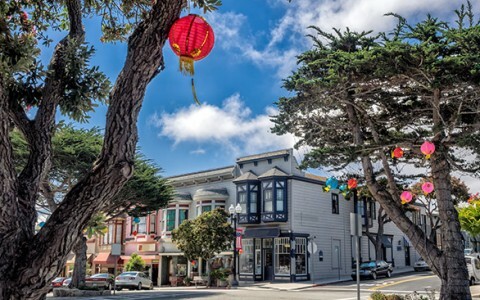 While away an afternoon along Monterey’s historic Cannery Row, home to the Monterey Bay Aquarium, boutique shops and over 25 different eateries. 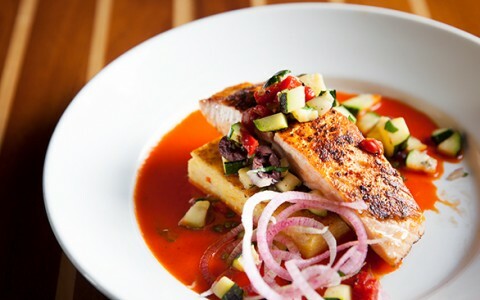 Savor a meal at Schooners Coastal Kitchen & Bar, offering contemporary, coastal American cuisine and cocktail classics with a twist. 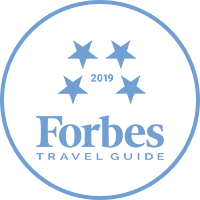 Our passionate team of Coastal Curators are deeply knowledgeable of the Monterey Peninsula, and are delighted to create personalized itineraries. 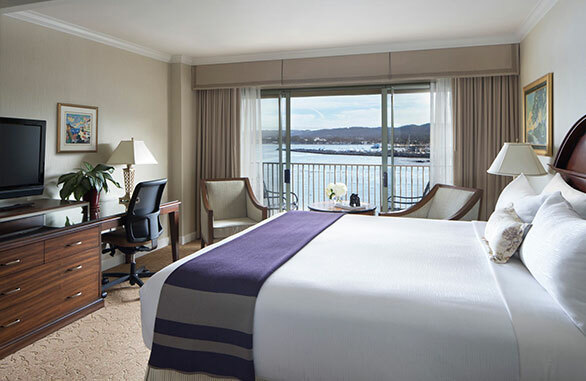 Elegance blends effortlessly with contemporary coastal inspired accents in our spacious rooms and suites to offer luxurious comfort in a spectacular oceanfront setting. 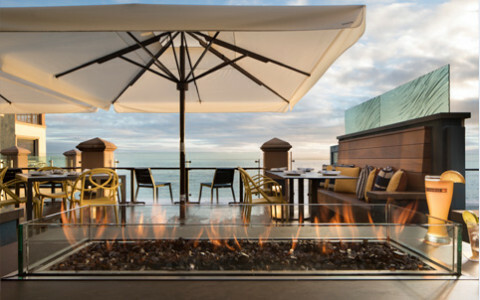 Soak up our bustling open kitchen ambience, savor the freshest sustainably caught seafood, and dine in an unrivaled oceanfront setting, overlooking the blue Pacific. Be transported by our breathtaking rooftop spa and fitness center. 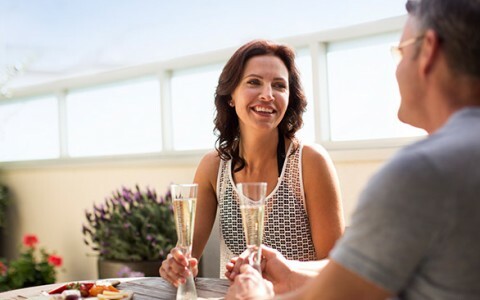 Offering a luxury wellness experience, our European-style penthouse spa opens onto a stunning sundeck complete with two whirlpool spa tubs and outdoor fireplace. 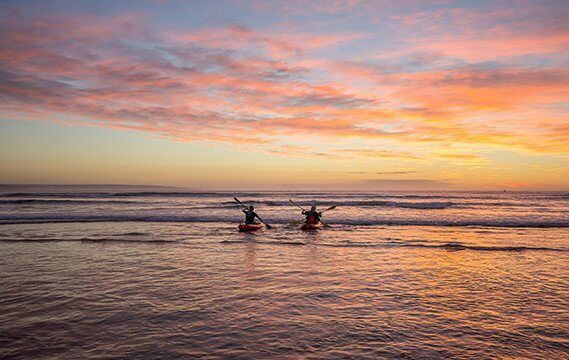 From our crashing surf to the sweeping panoramic views of Monterey Bay, discover a romantic setting of irresistible coastal charm. 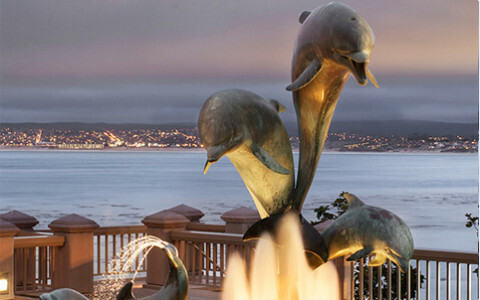 With our trademark hospitality and unique-to-Monterey experiences, discover a captivating wedding destination. Our most popular package - Treat yourself to pure luxury with our Bed and Breakfast package. 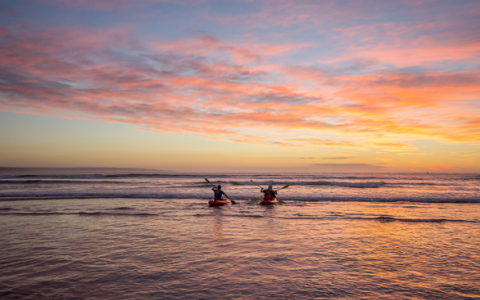 Grab your paddle and head out on the Monterey Bay for a truly adventurous experience! 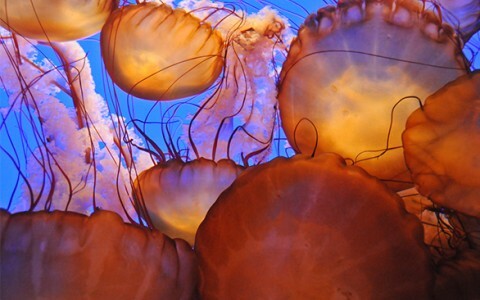 Book this package to get a closer look at the world-renowned Monterey Bay Marine Sanctuary! 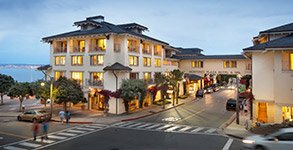 The Monterey Peninsula is a truly special destination not only for its renowned activities, shopping, dining and culture, but also for its romantic setting. Fun for the whole family! 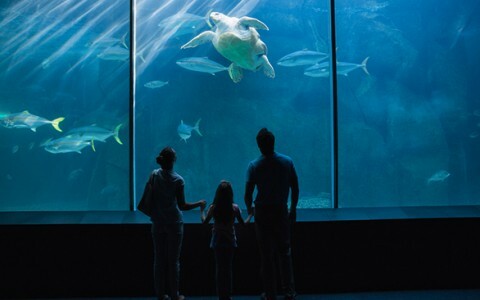 Stay in deluxe accommodations, and play just two blocks away at the Monterey Bay Aquarium. 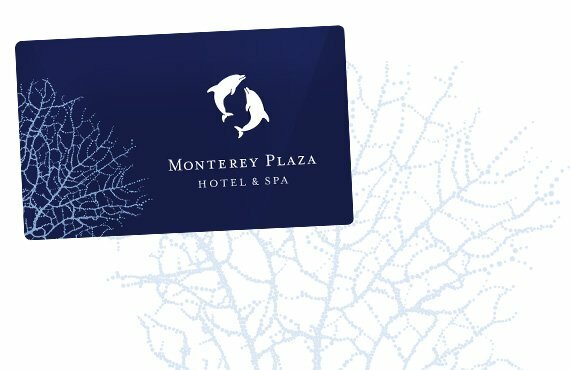 As a luxury hotel near the Monterey Bay Aquarium, no stay would be complete without visiting.